In the past some have put in more money, but let it be known, if we win, we will still all get an equal share. But we will all thank you greatly for the extra contribution, and I will let it be known who was nice enough to bump it up (if you so wish, or I can keep it anonymous). We are at about $300, or 30 people so far. I was also told the post will probably get removed, so spread the word via email, or PM…if anyone wants to hit me up via email, or PM they can. We are at 57 users so far! We are at 81 people, I will probably have to stop accepting around noon CST so I can go to the bank at lunch and find time this evening to grab all the tickets! 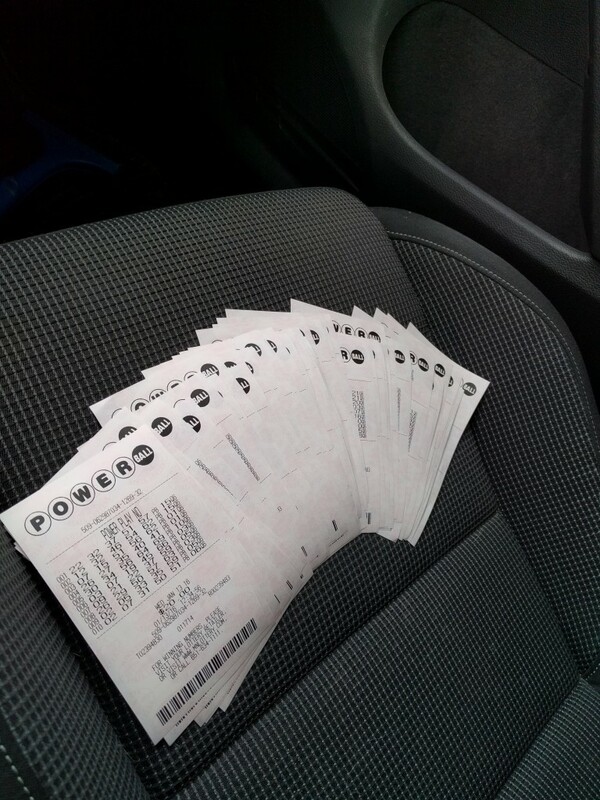 Final tally – 87, or $870 worth of tickets. Closed up! I am going to grab the tickets shortly, will scan and post later tonight so we can start data entering. I will also send a follow up email to everyone now, if you do not receive it by 1230P – 1P shoot me an email/pm so I can make sure I have your email. SnipeMasterJ13 snuck in at the last second, 88. I feel better with an even amount of people! And enter them in the 10 corresponding lines! I’ll dump it in my excel document that will calculate what we win so it does the math. The google Doc removes the math. If anyone else wants to see, here’s the template I was given back in 2012 when we started courtesy of Ryan P.
We got $44! So far looks like a winner was in Cali.